One of the biggest advantages of VoIP phone systems is that the calling quality is not just on par with landline systems, but in many instances it is superior. This is because some landline systems still use copper wire technology from the 19th century, while VoIP uses blazingly fast fiber optic networks and other innovations. There are a range of metrics associated with VoIP quality assurance, and they all must be established, monitored and optimized appropriately. These metrics include (but are not limited to): MOS, R-Factor, gap density, burst density, compression, and jitter. 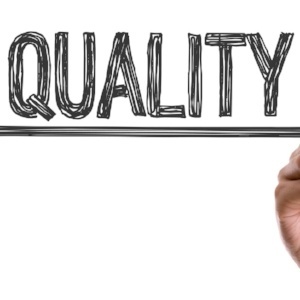 VoIP quality is also directly impacted by Quality of Service (QoS) prioritization settings. If these are not set appropriately (i.e. if VoIP is not given priority), then there will likely be delays in packet delivery, and thus reduced quality. Before a VoIP system is deployed, it is essential to conduct a comprehensive site survey in order to assess and analyze key infrastructure elements, such as traffic flows, existing switches, WAN bandwidth, and more. Once the survey is complete, the network must be tested and optimized accordingly based on anticipated usage requirements. It is also important to deploy analysis tools to accurately measure and understand VoIP traffic patterns at various points in the network, such as over WAN links, and so on. Typically, several analysis tools will need to be deployed to get a clear, accurate understanding of where quality issues are emerging, or may emerge under certain usage conditions. There are a few problem resolution tools that can help identify and resolve quality issues that may emerge at a later date. These include (but are not limited to): utilizing VLANs organized by user group to monitor traffic patterns; utilizing expert analysis on VoIP communication can also help quickly identify common quality problems; and utilizing notification and monitoring tools that are set to trigger alarms when there is a deviation from levels that have been deemed normal/standard. While visibility tools will certainly help monitor and improve quality, it is also important to keep an eye on end user experience during implementation by focusing on various network performance variables (e.g. codecs, link utilization, VLAN configuration), etc. Jitter is among the most common causes of poor VoIP quality. It occurs when network congestion, timing drift and/or route changes cause some packets to take longer to travel from sender to receive than other packets. If there is a link between jitter and bandwidth usage, then the issue is usually a matter of capacity. However, if there is no correlation, then it will be necessary to isolate the problem on the network. VoIP quality assurance is not a “set it and forget it” thing, because usage patterns change based on a variety of factors that ebb and flow with various business requirements. As such, it is important to baseline network traffic, which helps validate performance and support future capacity planning strategies and investments. At Votacall, our in-house team of experts takes charge of all of these quality assurance issues and aspects for our clients. Plus, through a managed router we can monitor and resolve many quality issues remotely and rapidly. To learn more, contact us today and schedule your free consultation.